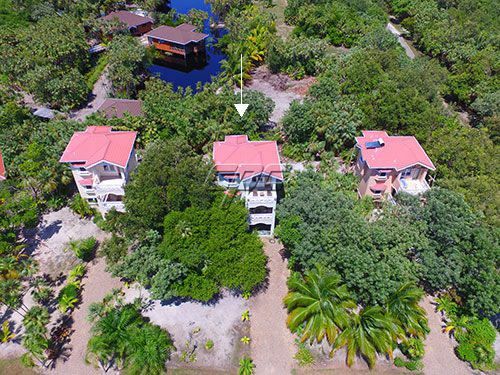 In addition to being solidly constructed the Treetop Villa sports some of the most luxurious finishes available in Belize. Cut limestone tiles cover the floors of the living room and guest bedroom, while the master bedroom is adorned with a floor made of exquisite black poisonwood, one of the many beautiful local hardwoods utilized throughout the home. Mahogany, with its golden brown hue is the wood of choice for all moldings, doors, closets, and beds. Santa Maria trusses support the roof, and Cabbage Bark, with its ornate undulating grain, is used on the exterior staircase and for the beams that support the floor of the master bedroom. The kitchen and adjacent bar feature granite counter tops with a ceiling uniquely covered with wild cane. Mexican bowl sinks, tile and one-of-a-kind artisanal light fixtures give personality and flair to the bathrooms. The second floor veranda catches plenty of cool Caribbean breeze, while the veranda on the third offers a stunning view of the sea and nearby cayes/islands. 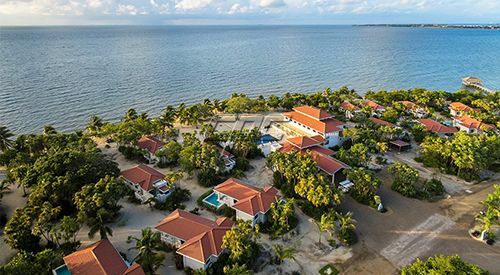 The Placencia Peninsula is quickly becoming the new 'it' destination for people who enjoy the world class attractions of Belize's coast, cayes and interior. 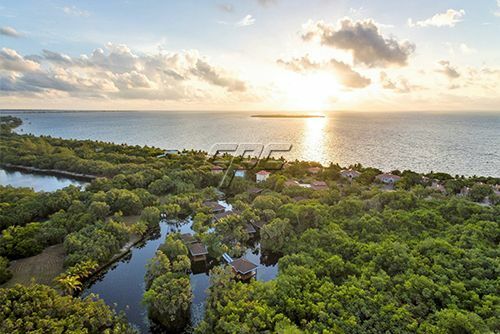 Cocoplum has become the premier private residential neighborhood on the peninsula. When you live here, you not only enjoy a fine home, you also enjoy an unparalleled quality of life. 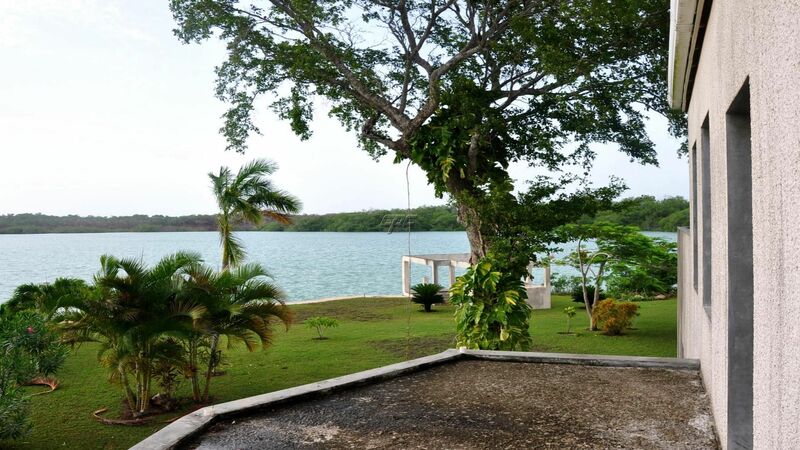 Traffic is minimal in the area, the landscaping is beautiful, and you have access to over a mile of secluded Caribbean beach, in addition to several beautiful park areas within the development. The two bedroom, 3 full bath villa is an incredible value at US$425,000 including all furnishings. Full titled ownership of 67' x 120' lot. Ideal for rentals, adjoins luxury resort site, complete with all of the amenities you'd associate with a first class resort. 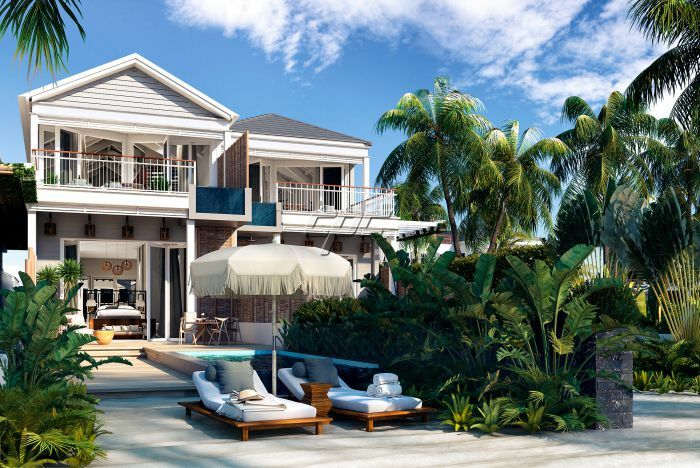 Owner's have the opportunity to participate in the newly established Naïa Resort & Spa's rental pool and enjoy the benefits of experienced, on-site property management. For more information, please contact Dan today.